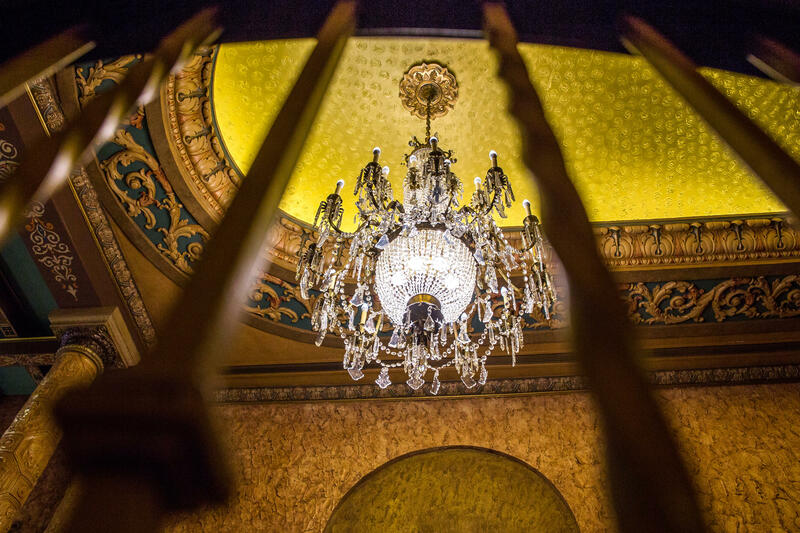 The newly installed chandelier hanging in the Gillioz dates back to 1881 and has become a centerpiece in the theatre. Four electricians labored for over nine hours to carefully unwrap each piece of crystal. Then, meticulously, they used needle-nose pliers to construct what would become the theatre’s new centerpiece. The chandelier contains 70 pounds of handcut cystal and took over nine hours to install at the Gillioz. 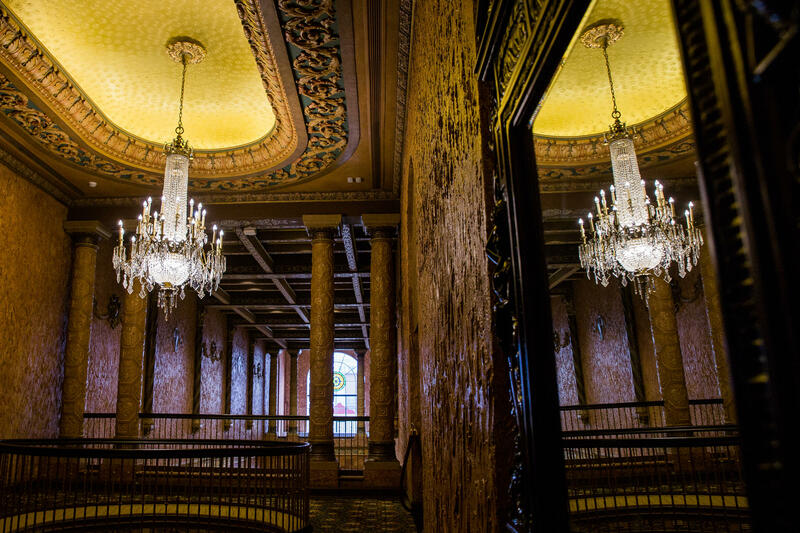 Geoff Steele, executive director of the theatre, says he and many other staffers stayed late into the night to see the installation of the chandelier be completed. But the real story here is the chandelier’s past. 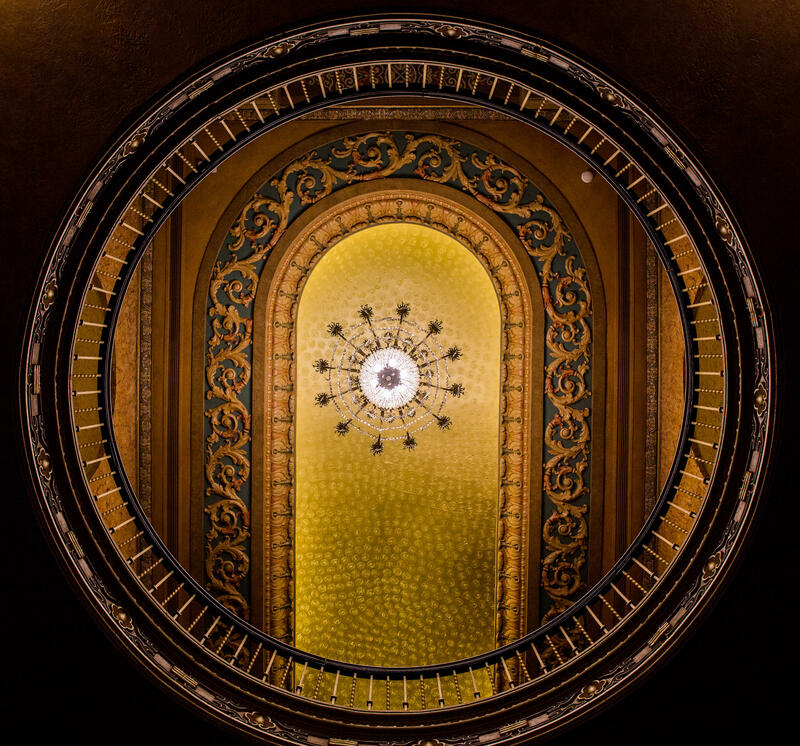 The enormous chandelier was first installed in the Boyd Opera House and Theatre in Omaha, Nebraska in 1881—just 16 years after the Civil War, when much of the land West of the Mississippi was still untamed. It was one of five gaslight chandeliers. When the opera house burned down in 1891, only three of the chandeliers survived the fire. The Boyd Theatre was quickly rebuilt, but stopped operating in the 1920s—which is around the same time the Gillioz Theatre first opened, showing movie premiers like “Gone With The Wind” and vaudeville shows. And it’s in the 1920s that the chandelier’s journey becomes partly a mystery. Historians do know that it spent many years in an entertainer’s residence in Beverly Hills, California. But it was eventually taken down, and stored in pieces in a warehouse until November of last year. Steele says Wayne and Susan Rader donated the chandelier after visiting the Gillioz Theatre, which is a non-profit organization. “It’s really your theatre, it’s the community’s theatre, so these types of pieces, being a component that’s been added by a member of our community, that’s really just the latest in a long line of passionate contributions that allows us to do this,” said Steele. The chandelier reflects in a mirror on the second floor of the Historic Gillioz in downtown Springfield. Steele said the donor, Wayne Rader, has an affinity for historic light fixtures and owns many more pieces, but knew this specific piece was a good fit for the Gillioz. He made a deal with Steele, saying that if they curated it, the Gillioz could install it in the space—and that if it were to ever be taken down, it would return to Rader’s estate. Steele told him he never plans to take it down, something he says Rader seems very pleased with and proud of. 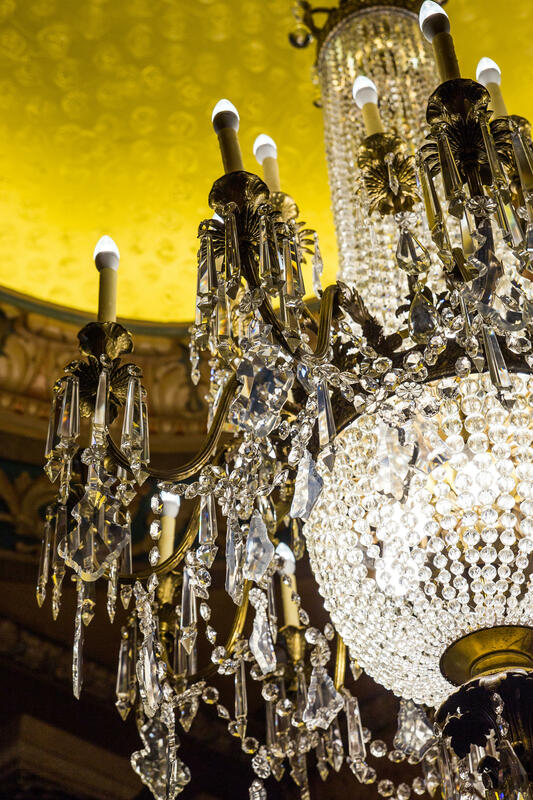 For Steele, the chandelier’s past is a proud link to some of the earliest roots of American theatre. Looking up from the first floor through the circular balcony on the second floor, the chandelier hangs in the center of the Gillioz Theatre. “We love what it does for the space, but we also just love the idea that it’s uh, a piece of history - a piece of theatrical history that was created to light the way for theatre goers so many years ago and that it’s now not in storage, it’s back to life and it’s in a theatre again and it’s lighting the way for new generations. It's exciting," said Steele.